Artificial intelligence has been the focus in discussions of self-managing systems and automatic system updates on the enterprise. Though previously most companies were indecisive about implementing AI into security, AI is making a comeback to company security with a stronger conviction to safeguard enterprise systems and data. With the increase in the need for such advanced systems, several artificial intelligence solution providers are emerging to enable enterprises to improve their security performances. To strengthen the enterprise security posture, AI can be paired with the latest technology such as machine learning that can protect the enterprise systems by running algorithms, deep learning, and big data analysis. This process can prepare the systems to detect the slightest anomalies, irregularities, and breaches immediately. Further, AI in conjunction with the cloud will be able to provide companies with more data and enhance the search for different threats. Even better, AI is being teamed up with voice recognition to make systems more human-like. Linking authorized personnel’s voice to AI enabled system allows access from anywhere, anytime through mobile devices, reducing the risk of unauthorized infiltration into the system and immediate elimination of the threat. Security think tanks today are on an overdrive to bring in new AI-based security and prevention technologies that can outsmart sophisticated hackers and proactively detect and eliminate threats in real time. In the pursuit of doing more with less, AI has scale, speed, and accuracy to its credit, in order to pinpoint anomalies and exceptions. It can identify vulnerabilities and suspicious traffic that can be remediated on priority and notify the entities that require a precautionary stance. 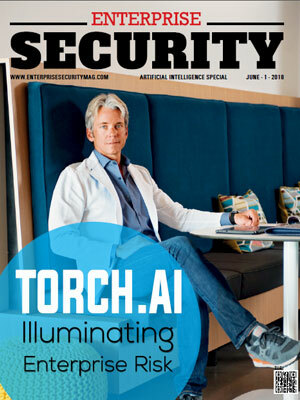 In this issue of Enterprise Security Magazine, the leading Artificial Intelligence Solution Providers is presented, shortlisted by a distinguished panel of CEOs, CIOs, VCs, and analysts, along with Enterprise Security Magazine’s Editorial Board. Avid Secure is one of the leading artificial intelligence solution providers that provide companies with intelligent cloud infrastructure security solutions for GRC, DevSecOps, and security monitoring. Using the power of AI, the company delivers end-to-end agentless visibility and compliance across any cloud. In this era of technology when cyber threats are at its peaks, security has become a necessity for every organization and not luxury anymore. The artificial intelligence solution company provides instant application dependency mapping and end-to-end view of an organization’s entire network topology in the public cloud, including ingress, egress, and internal traffic. It continuously analyzes millions of metrics across various data sources such as user activities, configurations, network traffic, and logs for malicious or anomalous activities. AI-powered alert correlation and intelligent alerting eliminate alert fatigue and reduce the mean time to respond and remediate security risks. Cognistx is an applied AI company based in Pittsburgh that builds multi-strategy AI systems for clients. Kroll and Cognistx provide advanced AI technologies to help clients make confident risk management decisions. Their AI-powered computer systems created can sense, learn, and act. The company designs advanced multi-strategy software systems which give optimal combinations of state-of-the-art technologies to attain desired information system performance solving the customer challenges. The AI solutions of the company solve data problems, streamline operations, reduce cost, and generate revenue for small and large businesses. Fluid AI is an emerging artificial intelligence solution provider which provides an artificial intelligence-powered system that automates to find the vulnerability and fix them in smart contracts. The company is developing an AI solution which will able to identify and patch security vulnerabilities in Haskell and Solidity, written Smart Contracts with almost zero human input. The company is training its AI with a wide range of languages so that it can cater to companies programming in any language. The company is working on its vision to fully automate QA with AI so that tech enterprise will not have to worry about the repetitive processes of iterations in software QA. QbitLogic is a U.S. based artificial intelligence solution provider that builds multi-purpose tools and approaches which synergize the power of artificial intelligence and quantum computing to help humans create and protect software systems across various industries. It develops a whole suite of tools that are powered by state-of-the-art AI for DevOps teams. The potential for breakthrough and disaster has increased with the deepening reliance of humans on programmed systems. The researchers and developers of QbitLogic take a different approach to code vulnerability and the critical challenges faced by infrastructures and systems these days by changing the ways of human interaction with computers and building safe and secure software systems. ThreatBook is the first security threat intelligence company owned by China which is committed to providing accurate, actionable, and real-time threat intelligence to detect, block, and prevent attacks. The company delivers a variety of SaaS-based threat intelligence products and services across the globe and helps its clients to improve their existing detection and defense capabilities at a different stage of threat attack. It enables industry customers to deal with complex, frequently changing threats in a fast, accurate, and cost-effective manner. ThreatBook is one of the foremost artificial intelligence solution providers that continuously monitors and analyzes network traffics and aids security teams to discover suspicious behaviors and security risks in their environment in real time. Torch.AI is one of the emerging brands that provide artificial intelligence solutions, which offers network-centric AI and has developed a unified mathematical framework and sophisticated analytics tools to leverage data in a unique way to tackle problems. The company is a provider of augmented intelligence technology solutions and digital consulting services across the federal government. The technology of the company allows delivery of intelligent solutions and rapid results, yielding lower costs and measurable outcomes with new dimensions of trust. It rapidly examines and monitors enterprise relationships to strengthen trust and engagement with suppliers, agents, and constituents. Virtis is a leading player in delivering artificial intelligence solutions, superior technology, and technical support to safeguard business crucial and high-value assets of leading companies and government organizations across the globe. The company delivers unique, leading-edge patented products and services combined with a boutique white-glove approach to its clients globally by providing strategic roadmaps. The company delivers services to various sectors including financial services, healthcare, biotech, government, retail, payment, and compliance. The services offered by the company include cyber operations, protection of critical national infrastructure, and international government intelligence. Virtis is expert in cybersecurity advisory services, design and architecture services, web application security artificial intelligence, penetration testing, and scanning solutions. Darktrace is a provider of artificial intelligence solutions that develops AI algorithms to deliver organizations the capability to detect emerging cyber threats. 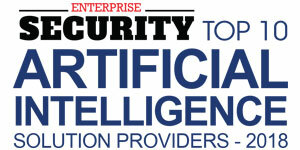 Darktrace is recognized as the world’s leading AI company for cyber defense and security. The company aids organizations to defend their systems against the most sophisticated cyber threats with the help of machine learning technology. The enterprise immune system of the company detects and fights back cyber attacks in real time. The self-learning AI is powerful enough to identify a diverse range of threats at their earliest stages and protect the cloud, SaaS, corporate networks, IoT, and industrial systems against vulnerabilities and cyber threats including insider attacks, ransomware, stealthy and silent attacks. Darktrace Industrial, another business unit of the company, builds Darktrace AI to protect critical national infrastructure, and the company’s operational technology is dedicated to fighting threats in industrial and SCADA networks. One of the foremost players in artificial intelligence solutions, Lumina Analytics delivers intelligent solutions to help clients manage and mitigate risk. It is a big data analytics company that provides data aggregation and analytics services to government and corporate clients to assist them in controlling their risks. Lumina Analytics serves regulated industries, law firms, and governments with risk management intelligence around the world. With the combination of machine learning and human analytics, the company mines data from multiple sources, develops risk intelligence, and provides clients with regular, actionable prevention and mitigation opportunities. Lumina Analytics aims to help minimize damage or loss with unique and proprietary tools previously not available for these purposes. Perseuss provides a distinctive global platform that permits the exchange of intelligence and evidence to allow the identification of current and future fraud patterns. The advanced AI-based fraud detection of the company offers immense amounts of fraud intelligence in a quick, smart, and comprehensible way. Today, Perseuss has developed into the leading platform for sharing fraud data ranging from e-commerce retailers and gambling merchants to online travel agents and rail companies, the diversity of users reflects in the database. The powerful AI mechanisms of the artificial intelligence solution provider are saving its clients millions of dollars by flagging potential fraudulent bookings. The company created FraudChasers in 2010 that allows fraud experts to share best practices, safely exchange information, and update fellow analysts on news in the sector. Another product of the company, FACT, facilitates the communication between merchants, card schemes, and law enforcement agencies from around the world enable issuing banks and merchants to be immediately aware of any suspicious transactions.